Ordinarily, property can be contributed to an entity by its owners in exchange for ownership interests without any recognition of gain or loss. Because of Notice 2014-21, in which the IRS stated that “for federal tax purposes, virtual currency is treated as property…General tax principles applicable to property transactions apply to transactions using virtual currency,” this rule seems to apply to Digital Assets as well.The general non-recognition rule, as it applies to Corporations, is found in Internal Revenue Code (“IRC”) Sec. 351(a) and states that “no gain or loss shall be recognized if property is transferred to a corporation by one or more persons solely in exchange for stock in such corporation and immediately after the exchange such person or persons are in control…of the corporation.” For partnerships, the general rule under IRC Sec. 721(a) states that “no gain or loss shall be recognized to a partnership or to any of its partners in the case of a contribution of property to the partnership in exchange for an interest in the partnership.” However, these provisions both contain exceptions to the non-recognition rules in the case of what is known as investment companies. 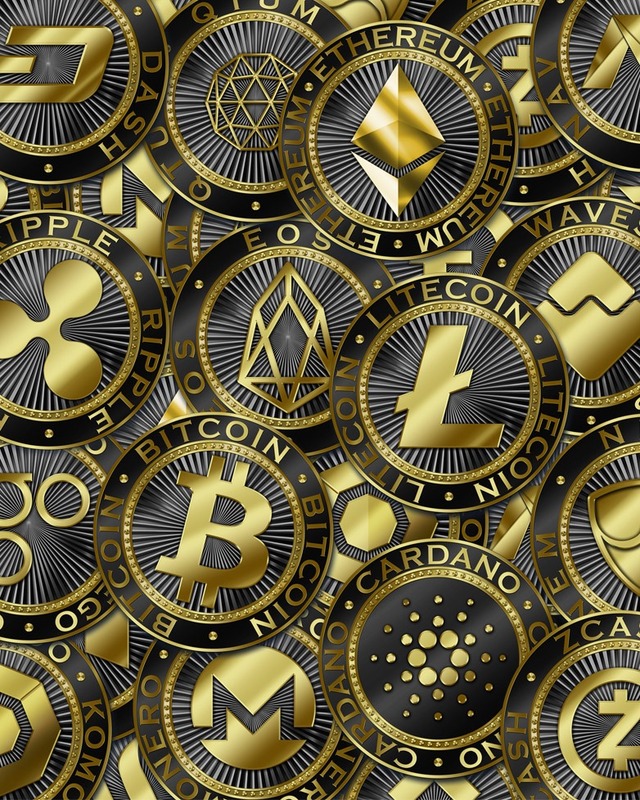 These exceptions may result in gain (or loss) recognition for taxpayers when transferring appreciated property, crypto assets included, to an entity qualifying as an investment company. This provision also applies to partnerships, as the IRC Sec. 721 rule points towards IRC Sec 351. For the 80% test, stocks and securities are considered readily marketable if “they are part of a class of stock or securities, which is traded on a securities exchange or traded or quoted regularly in the over-the-counter market.” The definition of readily marketable securities includes convertible debentures, convertible preferred stock, warrants, and other stock rights if the stock for which they may be converted or exchanged is readily marketable. Additionally, stocks and securities are considered held for investment unless held primarily for sale to customers in the ordinary course of business or used in the trade or business of banking, insurance, brokerage or a similar trade or business. As such, a corporation or partnership engaged in the active trade or business of securities trading (as opposed to investing activities) may also qualify as an investment company under Sec. 351. A transaction ordinarily results in the diversification of the transferor’s assets when two or more persons transfer non-identical assets to the entity in the exchange. The transfers need not occur on the same date. By way of example, contribution to a hedge fund of appreciated assets on August 15, 2018 by an investor can lead to diversification, and recognition of gains, despite no prior investment by partners that same year since January 4. The transfer of identical assets generally will not cause the transferors to recognize gain and/or loss unless the transfers are part of a larger plan of diversification. For computation of any gain/loss recognized, if there is diversification of assets into an investment company, Secs. 351 (corporations) and 721 (partnership) contributions have one significant difference; transfers to investment partnerships can only cause recognition of gains. Losses are deferred until the partnership sells the property. Furthermore, gains and losses may not be netted by contributing partners in determining the gain to be recognized. As such, if a contributing partner contributes a portfolio of securities, the amount of gain to be recognized is determined on an asset-by-asset basis. This may result in gains being triggered even if there is an overall loss on the portfolio being transferred. Now, I’m guessing, as a reader of this newsletter, your curiosity extends to application of these rules in the crypto space. As I’ve pointed out in many previous issues of CryptoLogic, because tax practitioners have very little to go on with regards to rules and regulations relating to crypto assets (Notice 2014-21 being the sole substantive source material), often looking at what is not said is almost as important as the rules provided. In the rules discussed above, you probably noticed the numerous references to “marketable securities”, “stocks and securities”, and all types of other assets, which are most certainly not crypto assets. Furthermore, a reading of Notice 2014-21, which is our predominant tax guide for crypto assets, is wholly devoid of those same terms. So, does this mean that the rules and tax consequences upon contributions of assets into partnerships and corporations which were just discussed don’t apply to crypto and anyone should feel free to transfer Bitcoin, Ether, EOS, etc. into a fund without considering the consequences? Of course not! If these rules do happen to apply, the consequences are significant, which means even more consideration should be made, alongside some thoughtful analysis. However, because at this time the application to crypto assets of any tax provisions that specifically, and only, mentions “stocks,” “marketable securities,” “bonds,” “debentures,” is unsettled, any decisions should be made only after very close discussion with a tax advisor.